When the days are clear and weather is warm, we know that the first thing on your mind is going out on the water. Your boat allows you to get away from all the stress and pressure of the mainland and kick back by yourself or with good friends. Whether you use your boat to fish, cruise, or race, we know it must be pretty difficult to picture your life without it. At The Clausen Agency, Inc., we make sure that you enjoy your time on the water without having to worry about what could go wrong. Our agency specializes in writing insurance policies for boaters, so you can be certain we will provide you with the best protection available. We understand the differences between power boaters, sailors, and commercial fishermen, and we can tailor an insurance policy to your unique needs. Whether you’re a lifelong boater or just getting started in Rocky Point, it’s always a good idea to take a close look at your new or existing marine policy. We can help. Simply fill out our quick and simple online form to learn how The Clausen Agency, Inc. can keep you safe and secure with a marine insurance policy. You’ve worked hard to get where you are, and you have a lot to look out for. You deserve the right policy at the right price. 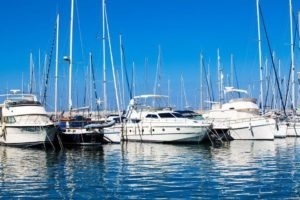 Why not get started today and save with a free boat insurance quote? It’s easy with The Clausen Agency, Inc.. Contact us today. Happy boating! PROVIDING BOAT INSURANCE FOR LONG ISLAND AND NEW YORK SINCE 1979!